In this article of Homeo Expert, we shall discuss the best homeopathic remedies for Anxiety. First of all, you need to know that what is anxiety and its symptoms and causes. If you are experiencing anxiety, it is a normal and part of your life. Everyone can feel anxiety whether he is child or adult. There are several people who at times, suffer from anxiety, the feeling of anxiety comes and goes. It means that it lasts for a short period of time. If your anxiety does not leave you for several weeks, months or years and it becomes worse over time. Therefore, if the anxiety remains there for a prolongued period, we will call it anxiety disorder. People who are suffering from anxiety disorders often have intense, persistent and excessive worries and fears about daily routines and situations. Doctors or medical men are unable to identify that what are the causes of this anxiety disorders. Life experiences including traumatic events give rise to anxiety disorders in people who get anxiety easily. The researchers are trying to find more psychological, biological and social factors which give rise to this disorder. At times, it is the result or side effect of certain medications. We can find an evidence that anxiety disorders have been running in families. If a parent or a sibling of a person suffers from this disorder, there are higher chances of that person to develop anxiety. Therefore, we can conclude that these findings show that genetic factors are involved in the development. Scientists are of the view that brain chemistry is responsible for the onset of anxiety disorders. If there is an imbalance of chemicals in the brain a person feels anxious and depressed. You can get rid of these symptoms by using the best homeopathic remedies for anxiety disorders. People who have different types of personality can be more prone to anxiety disorders. For example, if a person has low self-esteem can become more prone to anxiety disorders. The basic nature of a person makes him vulnerable to different types of disorders such as anxiety. The researchers have done research on the role of social factors in the development of anxiety disorders. They have found a relationship between long-term exposure to abuse, poverty, violence, poverty and anxiety disorders. If a children grow up in a family where anxiety and fear are constantly seen by children can lead them to become anxious. There are suitable homeopathic remedies for anxiety due to social factors available. At times, anxiety occurs due to the presence of medical illnesses including neurological disorders, endocrinological disorders, cardiopulmonary disorders etc. 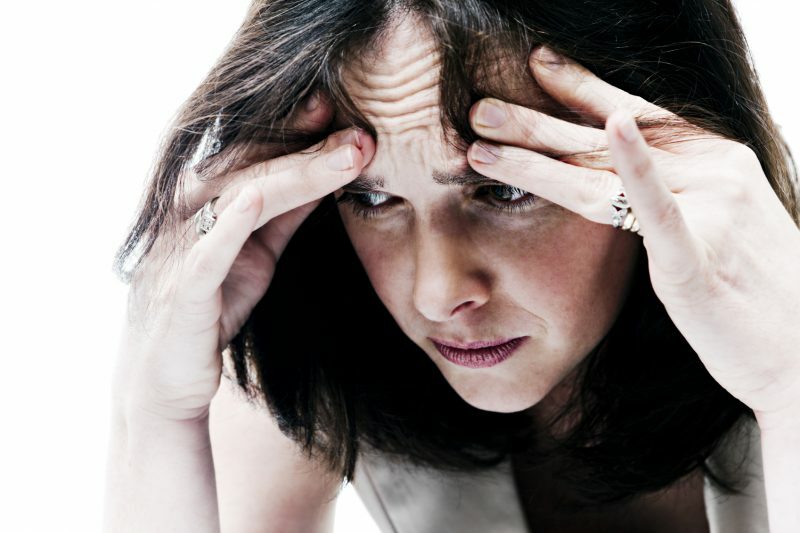 There are several factors which can increase your risk of developing an anxiety disorder. Children who bear trauma or witnessed traumatic events are at higher risk of developing an anxiety disorder. It does not mean that adults are safe from this condition they can also develop it. If they go through traumatic events. A big or smaller stressful life events or situation can give rise to excessive anxiety. For example, a sudden death of a family member or work stress and finance problems etc. People who suffer from different mental health disorders including depression may get anxiety disorder. Additionally, if your family member or blood relative is having an anxiety disorder, it will another risk factor. Use of drugs or alcohol can give rise to anxiety disorder. We can rank Aconite in the top of the homeopathic medicines for anxiety disorders. It is useful for those patients who have fear or anxiety of death. Cases of anxiety where extreme anxiety is accompanied by the strong emotion of fear can be treated with Aconite. It is also great for those patients who have fear of going out of the house and visiting the doctors. The key symptom of this medicine is suddenness of symptoms, it means that symptoms can come at any time. If there is a marked symptom of restlessness, Arsenicum Album is your remedy. The person suffers from intense anxiety about his own future and health and also for others. Arsenicum Album is suitable if there is a symptom of great despair and it compels the person to move from one place to another. It is also beneficial for those patients who are afraid of being alone. Additionally, if there is a strong fear of financial loss or disease, it is the best natural remedy for you. It is a useful medicine for treating anxiety when appearing in public. Fear also accompanies in these conditions. If a patient fears from the stage with a symptom of anxiety can be treated with Gelsemium. The symptom of trembling of hands is also a symptom of this medicine. The patient is also worried about his present, future and health. So it is also a useful medicine to treat anxiety during the examination. Argentum Nitricum is a helpful medicine while treating anxiety from anticipation. When a patient is anxious and his mind is full of fears and apprehensions. The patient of this medicine walks at a fast pace and he is also impulsive and nervous by nature. In physical symptoms, we include trembling of hands and feet, shortness of breath, palpitation and dizziness etc. Additionally, he is also suffering from different kind of phobias including fear of darkness, tall buildings and fear of heights.